Senior living communities organize their day focused on the welfare of elderly residents. Daily activities are meant to improve the quality of life of seniors: providing regular meals and attending to activities of daily living (ADL) in a supportive, safe environment. As you prioritize your senior care activities, focus on those that truly matter to seniors in the short term. More than just the presence of another, a companion takes the time to acknowledge the other without the need to exchange words. Many seniors in assisted living communities suffer the loss of a companion or spouse who once shared their lives. Be a companion while carrying out ADLs such as shopping or grooming activities, which can assure and comfort seniors. Doctor-approved basic exercises such as stretches, balancing activities, walking, and resistance training should be encouraged, forming part of the facilities daily events. 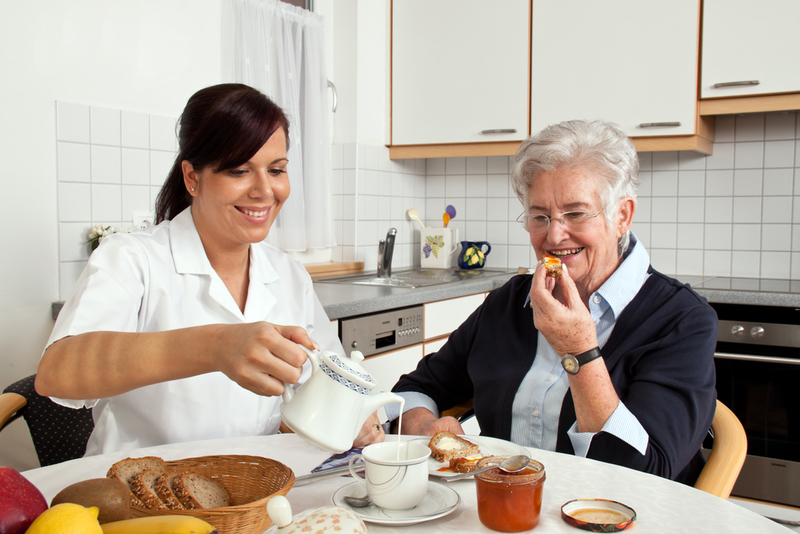 Providing the right balance of foods to residents with unique dietary needs is a growing challenge in senior care communities. Due to illnesses, religious beliefs, and cultural traditions most seniors are selective about their food. Finding cost-effective solutions should be a priority to prevent deficiencies and adequately meet daily nutritional needs. Loss of self-worth is common among elderly seniors. Frailties and disease are common factors that limit their capacity to perform ADLs. Comfort seniors with kind words recognizing their talents, abilities, and ideas. Provide grooming needs such as hair care, skincare and change of clothing to improve appearance and lift the spirit. Surveys show that seniors are a heavily medicated population taking prescription drugs that if not followed as prescribed can cause several trips to the emergency room. Medication management is a necessary service offered in senior care facilities particularly for residents with heart disease, diabetes and early dementia. Seniors commonly receive personal mail and look forward to their arrival. Many seniors use this moment to unwind with their favorite reading material and take pleasure in opening new shipping packages. Support this personal past-time by promptly delivering their mail upon arrival. Seniors often need assistance in handling money and managing their financial affairs. Aging and a decline in mental health force many seniors to neglect their financial obligations. Risks include loss of financial investments or damaging credit. Watch for signs: bills scattered around and delayed payments to the assisted living residence. Speak to family members and provide referrals for experts to act as guardian of finances. Seniors develop habits and routine that are important to the meaning of each day. From watching soap operas, reading religious texts to playing board games, seniors expect to continue these stress-reducing customs at their new residence. Help seniors settle into their new community by offering daily activities that is familiar. Seniors with mobility problems and other physical impairments will have difficulty browsing in a store, selecting goods, or purchasing items. Offering shopping assistance to seniors removes this challenge. It is important to help residents replenish personal items: denture products and hygiene products, particularly if family is unavailable. Seniors welcome opportunities to connect with family and close friends, important to their health and well-being. Reassure seniors by promoting family activities to increase belongingness and love. Schedule family outings, celebrate milestones, and organize regular themed events. These activities fulfil simple yet meaningful things of life: basic emotional and physiological needs of the elderly. When appropriately executed, they also bring out the human side of a senior care business.